Tahunanui Beach in Tasman Bay. Rabbit Island and the Arthur Range in Kahurangi National Park beyond. 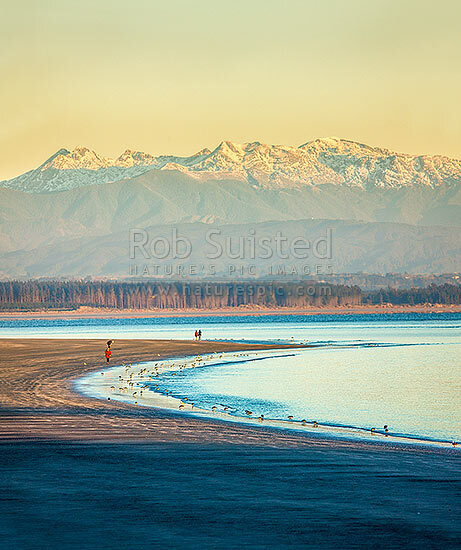 Winter early morning with walkers and birds, Nelson, Nelson City District, Nelson Region, New Zealand (NZ), stock photo.